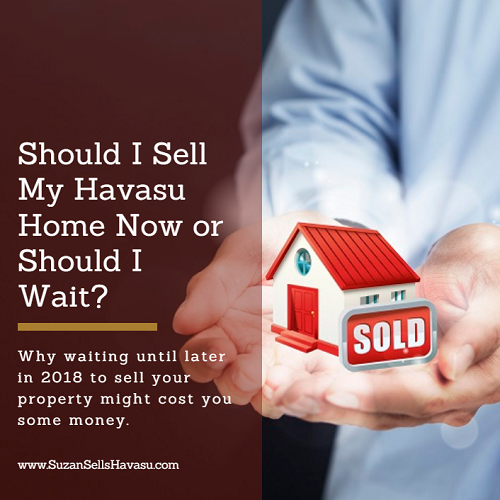 Should I Sell My Havasu Home Now or Wait? Last week, I discussed all the reasons you should buy a Havasu home in 2018. These include interest rates, prices, and inventory levels. Some of those are the same reasons you should sell your Havasu home right now. After all, you're most likely going to need to buy a home right after you sell your current one, right? If you've decided you want to put your home on the market in 2018, let me explain why it might be better to do that now rather than wait until later in the year. After a long period of extremely low interest rates, the Federal Reserve has begun increasing their rates over the past couple of years. This eventually affects mortgage rates, too. That's why we've seen them begin to steadily rise from the 3% range to just around 4% right now. If consumer confidence and unemployment figures continue to move in a positive direction, financial experts say you shouldn't be surprised if you see a 330-year fixed-rate loan hit the 5% mark by the end of the year. Buyers will be scrambling for Lake Havasu homes before rates get higher. That means more traffic to your door. Also, after you sell your property, you're probably going to need to buy another one. So, you'll be wanting to do so when the interest rates are closer to 4% than 5%, right? In 2016, a total of 1982 homes were sold in Lake Havasu City. We ended 2017 with a total of 2471 sold. That's an increase of 24.7% in just one year. Sales have steadily been increasing over the last four years. Over the past few years, prices have been on the rise. However, those increases have begun to taper off. While still forging upward, it's at a much smaller pace than in previous years. In 2014, they showed a 7.7% increase from January to December. The annual increase in 2015 was 10.2%. In 2016, they reported 6.7% higher average sale prices at the end of the year than at the beginning. Last year, they increased by just 2.9%. You'll still be making a profit. But, if these figures continue in their current trajectory, the longer you wait, the less you might make. Historically low unemployment rates, higher consumer confidence, and a healthy stock market have worked together to put more money in Lake Havasu home buyer's pockets. And these guys are ready to dip their toes in the real estate market. Earlier this year, the National Association of REALTORS@ released their 2017 Home Buyer and Generational Trends Report. In it, Millennials topped the list of home buyers with 34% of the market, continuing a trend that started four years ago. Baby boomers followed closely behind at 30%. When you partner them up with the "boomerang buyers" (those that haven't owned a home since the real estate bubble burst in the mid to late 2000s), it's easy to understand why buyer demand is up. And, as a seller, you could reap the benefits of these new buyers on the market. 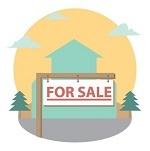 Are you thinking about selling your Havasu home this year? It might work to your advantage to put your home on the market sooner rather than later. When you're ready to list your property, feel free to contact me so I can help you get started.